If you are one of those people who have a lot of meat to grind, possibly for your whole extended family, this is the machine you need to get. It will grind a lot of meat fast and perfectly without clogging. What I liked most about this machine are its power and speed. It is an upgrade of the #8 SS Big Bite Grinder, which works at 1/4 HP. This one takes in and grinds meat like a hungry animal. I literally had to feed the meat continuously. The machine readily takes in meat, so you don’t even need to push it down. It grinds about 11lbs of meat in a minute. 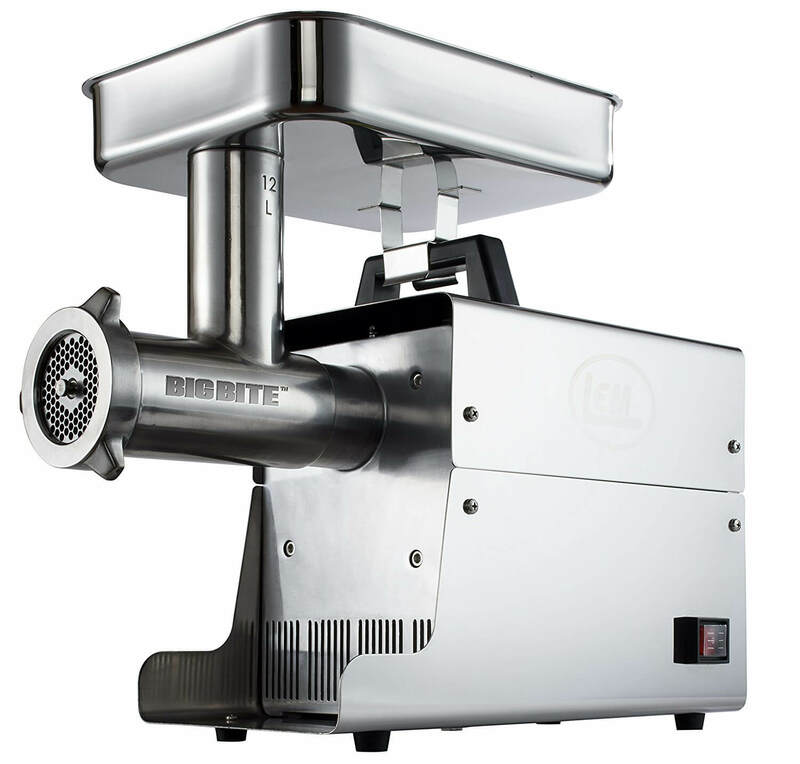 This grinder also has a larger diameter throat compared to the previous versions, meaning you can feed it larger sizes of meat. It can actually hold about 6 pounds of meat, and you will have to keep reloading it with meat. I had to have all my meat chopped up into 4-inch long strips before I started grinding since the machine won’t give you an extra minute to cut more strips of meat. The strips have to be about 2 inches wide, and can only be made to a maximum of 4 inches long. So you can either make them into 2-inch cubes or 4 inch long strips. Being so powerful, I also thought I should try to grind some chicken bones for my cat. According to LEM, the machine can grind soft bones without getting damaged in any way. The machine worked just as efficiently, but the manufacturer warns against using it to grind harder bones. 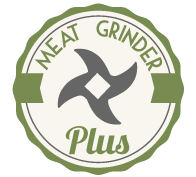 The #5 and #8 LEM meat grinders are not capable of grinding even soft bones. With this level of speed and power, it is amazing how the machine is able to operate silently. I have used cheaper grinders before, and they are really loud in a very irritating way. In my experience, all Big Bite meat grinders have been very quiet in operation. I also like the fact that this machine is easy to assemble and disassemble. This also helps in cleaning up the machine. You just disassemble the head and clean the parts. A bottle brush can comfortably touch all parts inside the machine. Like all other LEM Big Bite grinders, this machine is made of stainless steel. If you don’t like the hassle of cleaning up the machine manually, you can just use your dishwasher, and spray it with food safe silicon spray after. The parts are also ETL certified. A 5-year warranty covers this grinder and a 30-day money back guarantees. You have to register your warranty on their website, and also keep your receipts to take advantage of these guarantees in case you ever need to. It is worth mentioning that their products are made with a focus on quality, so you are very unlikely to even use the warranty. First, being a heavy duty machine, this is definitely much heavier than the lower Big Bite grinders. It weighs 45lbs, which is more than most people would be comfortably handling. To make it easier to move around, LEM included a heavy duty handle. It is also not meant for professional or commercial use. Granted, it can grind a good number of deer in a year. But it will definitely not be able to grind enough meat for a whole restaurant. This machine would do a great job for the avid hunters who have to grind many deer in a year. It is capable of withstanding heavy and frequent use, which is what a seasoned hunter needs. People who have to prepare meat for many people will also find this machine great in performance since it works fast, and its performance does not get worse over time. The first grind and the last grind are all perfectly done.